A celebration of the bid to build a car capable of travelling at 1,000mph! 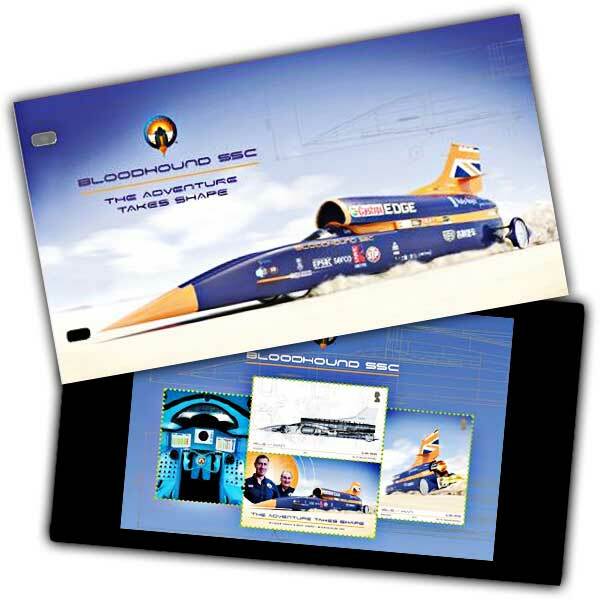 This complete colour four-page folder tells the story of the BLOODHOUND project to set a new land speed world record, told by the staff member themselves. Accompanied by images, the text reveals the technical development involved and the educational and inspirational message of BLOODHOUND. There are likewise details of the Isle of Man connection, both from worldwide engineering firm Swagelok and the Isle of Man Aerospace Cluster. 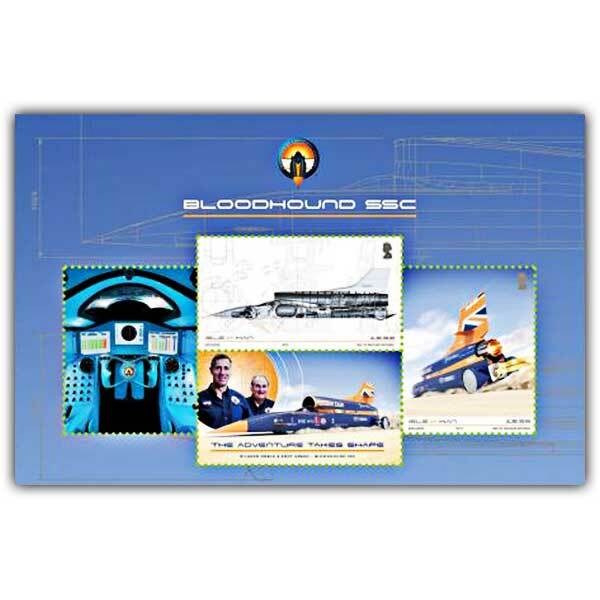 The collectable presentaion pack also consists of a mint condition mini sheet, which features 2 stamps illustrating the BLOODHOUND car and 2 labels, one showing the famous Richard Noble and existing world record holder Andy Green, BLOODHOUND's driver. The design reflects the technical innovation of BLOODHOUND by including 3 unique print finishes; metallic ink, varnish and thermochromic ink, which disappears when heated to reveal the inside of the BLOODHOUND car.